I thank our hosts: Ed Dustin and Alain Negueloua. characteristics of hotels that can benefit by installing it. operating conditions, and high energy costs. Mr. Szulak will review changes to the 2016 MA Natural Gas Energy Efficiency Incentive Program and discuss some of the most applicable measures for the hotel industry. He will also discuss recent, impressive Boston hotel energy efficiency projects. Two SHG hotels, The Lenox and The Comfort Inn & Suites Logan Airport, have committed to reduce their energy use by 20% by 2025, compared to their 2014 baseline. They did so by becoming a "partner" in the U.S. Department of Energy's Better Buildings Challenge. Other lodging industry partners include Hyatt, IHG, HEI Hotels & Resorts, Marriott , Hilton and Wyndham. Partners pledge publicly to improve the energy intensity (energy use per square foot) of the their properties by at least 20% in ten years. They also initiate a showcase project within a year (like this one by Columbus Hilton Downtown) that is posted on the Better Buildings website; track their energy progress; and report on it. Partners network and learn from other hotels, have their questions answered by DOE experts and have access to an account manager who provides resources and guidance. Whether or not your property becomes a partner, you can use the Better Buildings' Solutions Center that allows users to search the database of 400+ solutions (partner case studies, best practices, etc). More useful information is on the Better Buildings' Hospitality page. I encourage you to consider the Better Buildings Challenge and to use the program's resources. Boston joined the rest of MA and other major U.S. cities by passing a bill amending the city's Fire Prevention Code. The bill allows public buildings with sprinkler systems to use furniture free of flame retardant chemicals. "Studies have linked exposure to flame retardants with cancer, thyroid disruption, low birth weight, lowered IQ, fertility problems, and many other health issues." Flame retardant chemicals migrate out of furniture into air and dust, rendering indoor air less healthy. 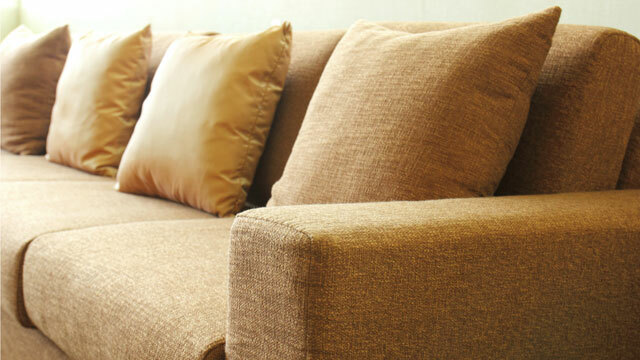 Furniture without flame retardants is now readily available. Hotels often overlook textile reuse and recycling opportunities. Yet, 95% of textiles are reusable or recyclable. Textiles include bed linens, sheets, pillow cases, towels, comforters, blankets, tablecloths, napkins, uniforms and curtains. The article gives advice about organizing a textile reuse and recycling program, and maximizing the financial benefits. The Earth 911 website lists Boston areas organizations that take used textiles. This article is about Ilios's natural gas engine-driven heat pump water heaters that are remarkably efficient because they reuse waste heat. A presentation about this product can be found in this recent BGT newsletter. A good program for cleaning cooling appliance coils can sharply reduce energy use and extend equipment life. The author discusses how compressed air can be used with engineered dust containment devices to assure a thorough, yet un-messy job. The following meeting will be 2:30 to 4:00, except the April 28 meeting, which will be 3:00 to 4:30. See you April 28 at Mandarin Oriental Boston!